Trying to overcome addiction on your own can be extremely difficult. While the disease tends to center around the mind, it’s important to understand that there is a lot to do with the body as well. When you’re trying to get sober from drugs and alcohol, it’s important to find a treatment center that treats the mind and body. Going to a facility that offers a variety of fitness therapy programs will help to increase your chances of avoiding relapse in the future. As you begin to embrace different forms of this type of therapy, you will start noticing the difference in your mental health. Avoiding relapse is much easier when you’re feeling happier and enjoying life to the fullest. This is also important because so many people lose interest in taking care of their body while in active addiction. Part of this process is taking advantage of an adventure therapy program, which is also proven to improve your mental health. Getting clean and staying clean is difficult for many people because of the symptoms of withdrawal from drugs or alcohol. Getting out and being active in the rehab program is one of the best ways to overcome your symptoms of withdrawal. Withdrawal happens due to your body and mind trying to regain equilibrium, which can take days or sometimes weeks. During this process, your muscles and nerves are trying to regenerate, and being active can help with this. Nobody wants to experience withdrawal or Post-Acute Withdrawal Syndrome (PAWS) any longer than they have to. 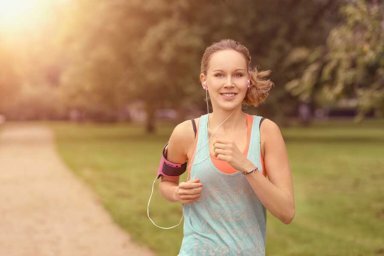 By embracing a healthier lifestyle, you’ll be able to speed this process up and begin feeling better sooner rather than later. The other great part about this is that you’re going to develop great practices that will improve your life for years to come. You’ll see that it’s much easier to stay clean as you continue to live this new, healthier lifestyle. Aside from therapy focused on fitness, other addiction therapy services can help you on your journey of recovery as well. One of the most beneficial aspects of an addiction treatment program is the peer support. In group therapy sessions, which are run by licensed professionals, you’ll surround yourself with people who understand your situation. This is excellent news for anyone who has felt lost and alone in their struggle with alcohol or drugs. The peer support you receive will give you people you can count on when you face tough times in early sobriety. Do you want to learn more about fitness therapy? Are you interested in our other programs and treatments? Call Morningside Recovery today at 855-416-8202 to learn more.